"Bleak House." The North American Review Volume 77. 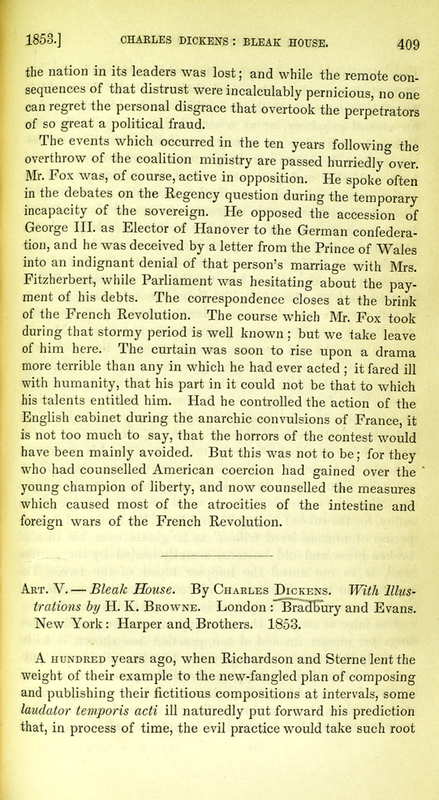 Issue 161(1853): 409.